Length : 10 day trip which includes Service Learning at a NGO in Delhi. Historical highlight: Explore UNESCO World Heritage Sites in Delhi and Agra, including the Taj Mahal. Itinerary : US - Delhi -Agra -Delhi -US. 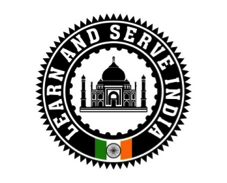 Goal : A Service Learning experience which will include volunteering at a local Community Classroom in Delhi . The Community Classroom is run by a NGO co-founded by our founder, Sam Sharma and Basu Rai,a children's rights activist, former child laborer and a protege of Mr.Kailash Satyarthi. Mr. Satyarthi recently won the Nobel Peace Prize for his work to end child labor all over the world. Basu Rai was one of the core marchers who led the Global March Against Child Labor in 1998 along with Mr. Kailash Satyarthi. Your many tasks may include a student drive,creating a plan to expand the classroom etc. When not serving, you can check out some UNESCO World Heritage Sites in Delhi and Agra. You may also visit some other NGO's operating in Delhi. Also included in this life changing experience will be our exclusive "Bollywood Night", an unforgettable evening where you will explore India through music and dance at your host family home. Please contact us for current trip dates and tuition.